Your business is not only your livelihood, it’s also the livelihood of your staff and affects the lives of your customers and clients, which is why it’s so important to keep it secure and protect those that are involved in your business. There is a lot to consider when it comes to securing your business, from securing your IT infrastructure to keeping the physical premises resistant to break ins. As a managed security service provider, ICT Solutions can support you in all aspects of securing your business. We specialise in cyber security and provide added extras to protect your premises. Cyber security has become more of a threat than the old fashioned crimes of thieves breaking in and stealing your devices. This type of crime is far more sophisticated and growing at a rapid rate. No CCTV can catch cyber criminals, and they can strike at any time so it’s vital that your business, big or small, is protected at all times. Cyber security comes in many different forms and involves preventative measures and reactive measures so that if disaster does strike, you’re well equipped to have your website and data restored. Our preventative security measures include advanced firewalls, anti-spam software and anti-virus software to keep your devices protected from cyber attacks at all times. As a managed security service provider we’re always on top of software updates to ensure your IT systems are always up to speed with the ever evolving cyber hackers. Prevention is certainly better than cure and with round the clock monitoring and advanced cyber security technology you can have peace of mind knowing that your essential devices and data are protected. However, nothing in life is certain and there may be a time when the worst case scenario strikes, however, if you have a managed security service provider on hand your business becomes disaster proof. We can make this scenario less of a disaster with website and data backup and disaster recovery plans. Every business should have a recovery plan in place as loss of data can be catastrophic! A business without security in this day and age is severely at risk, however, we must not forget traditional security methods which are just as important to protecting the contents of your business premises. Here at ICT Solutions we not only protect the cyber element of your business, we also secure your business premises to protect your physical IT infrastructure. 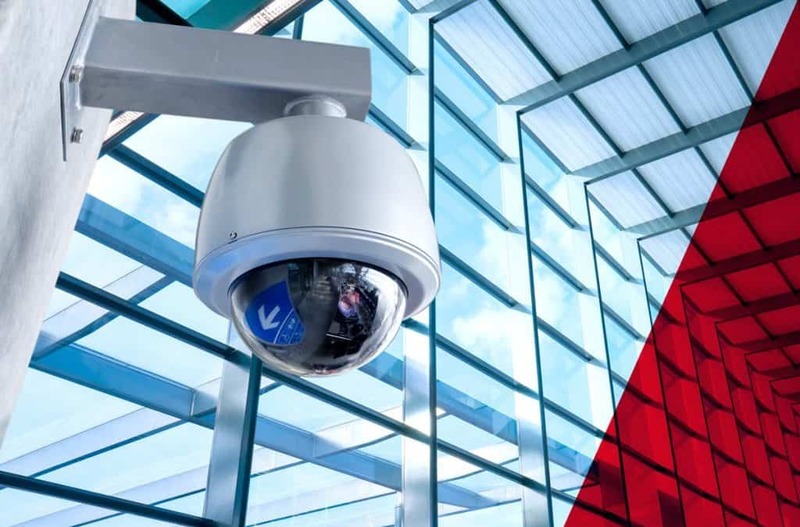 We do this by installing high quality security equipment including state-of-the-art CCTV, access control systems, and door entry systems so that you have control over who is entering your premises and to deter thieves. Security is just as much our priority as it is yours, and there’s no other managed security service provider you can trust than ICT Solutions. We’re IT experts and are always one step ahead of IT security, but our security specialities don’t stop here as we also deliver high quality, state-of-the art security systems to premises. We’re an all round security provider. There’s no time to waste when it comes to protecting and securing your business, so get in touch with our security experts today by calling 0151 230 2424 to find out more about our cyber security services and how you can have security equipment installed in your building.